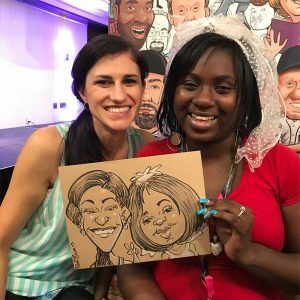 Why hire Goofy Faces for your wedding? Adding Goofy Faces to your wedding reception is a great way to offer your guests something fun to watch as well as giving them something special to take home. 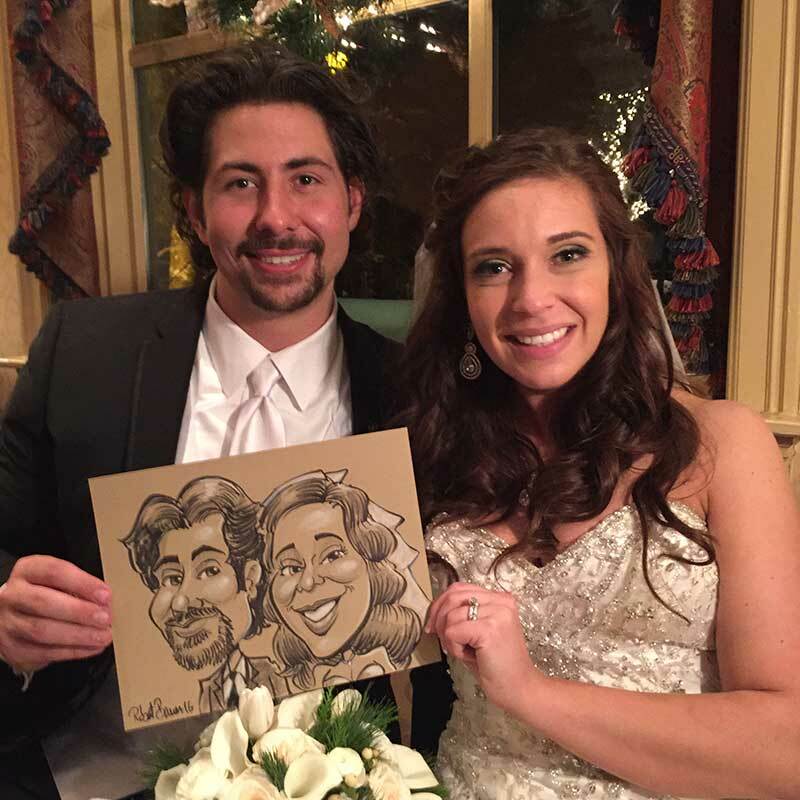 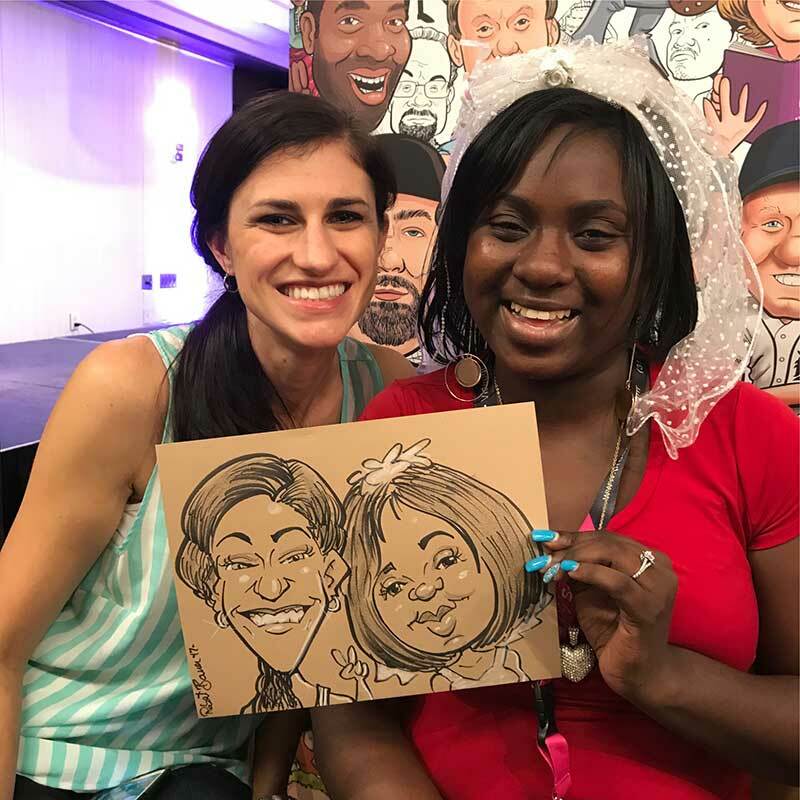 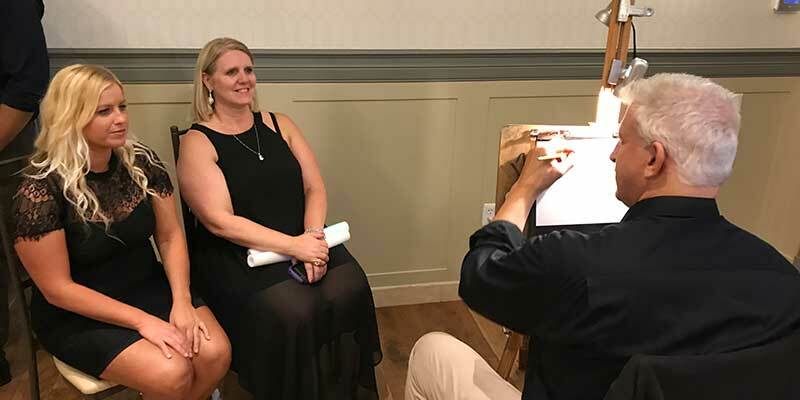 Our caricature artists will entertain your guests by drawing a live caricature of them in minutes. 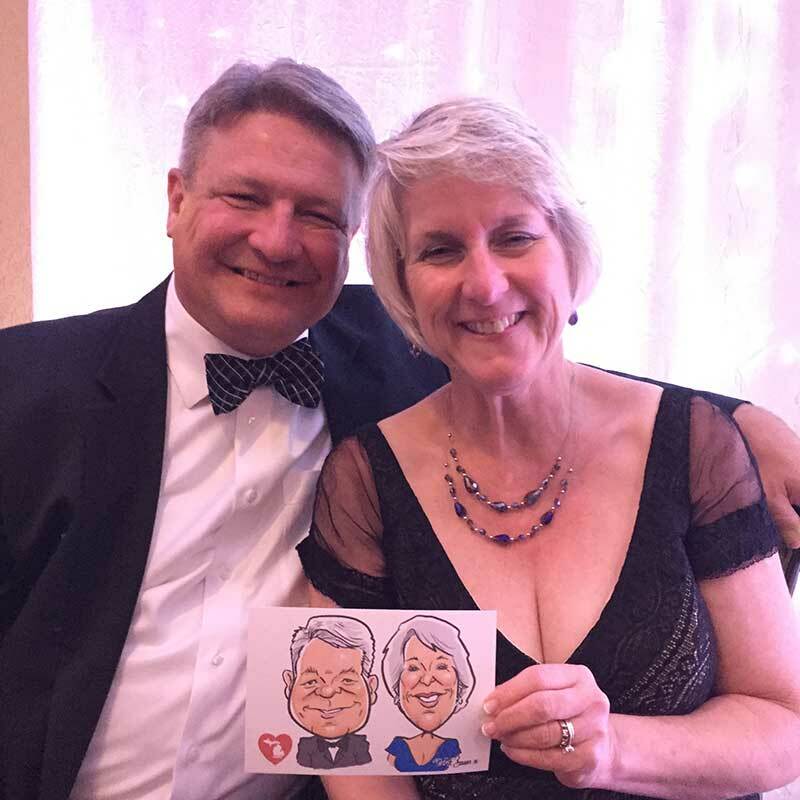 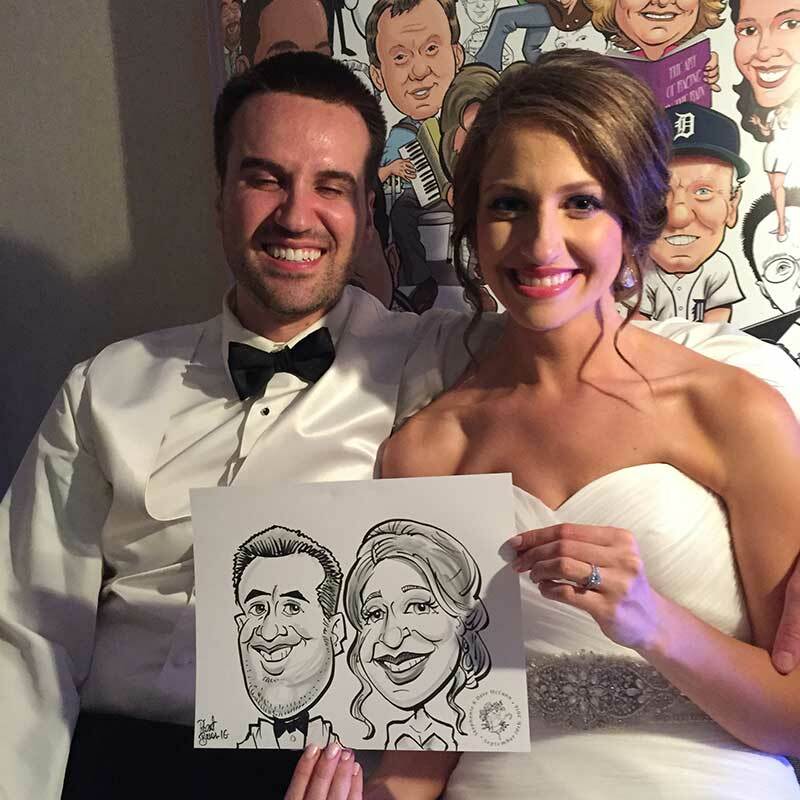 Each caricature is guaranteed to bring a smile and keep your guests entertained for a few hours or the entire evening. 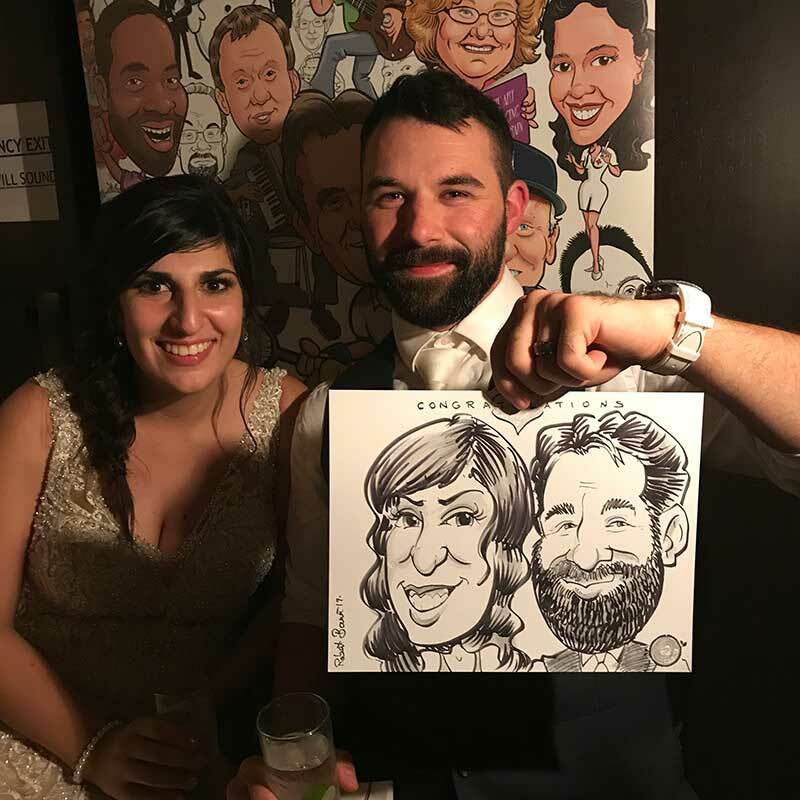 And unlike photo booths, you can hire one of our artists for as little as 2 hours. 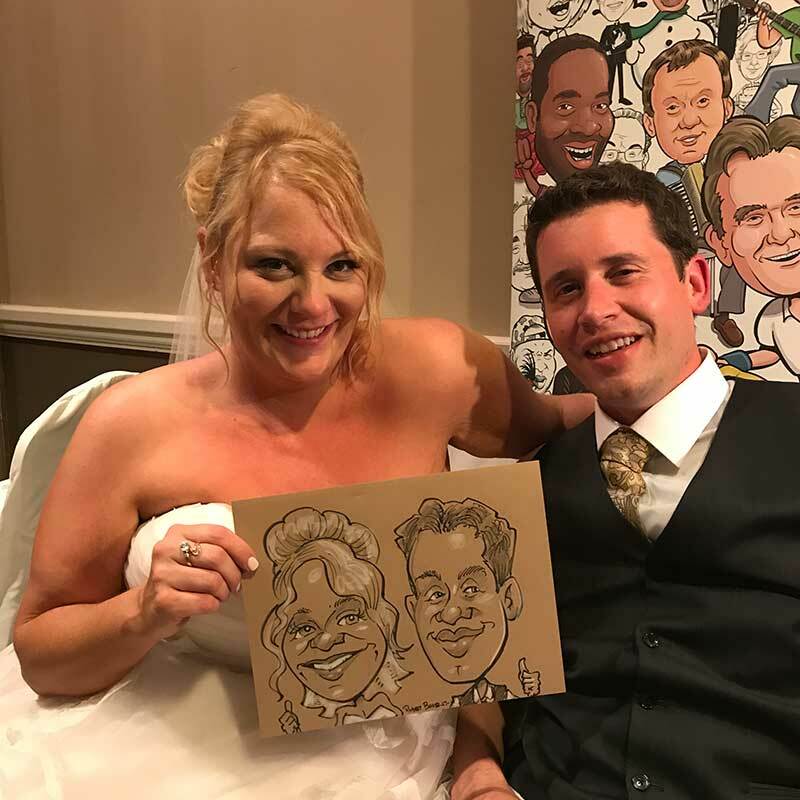 Plus we allow the bride and groom to take cuts anytime during the reception so they can get drawn and get back to mingling with their other guests! 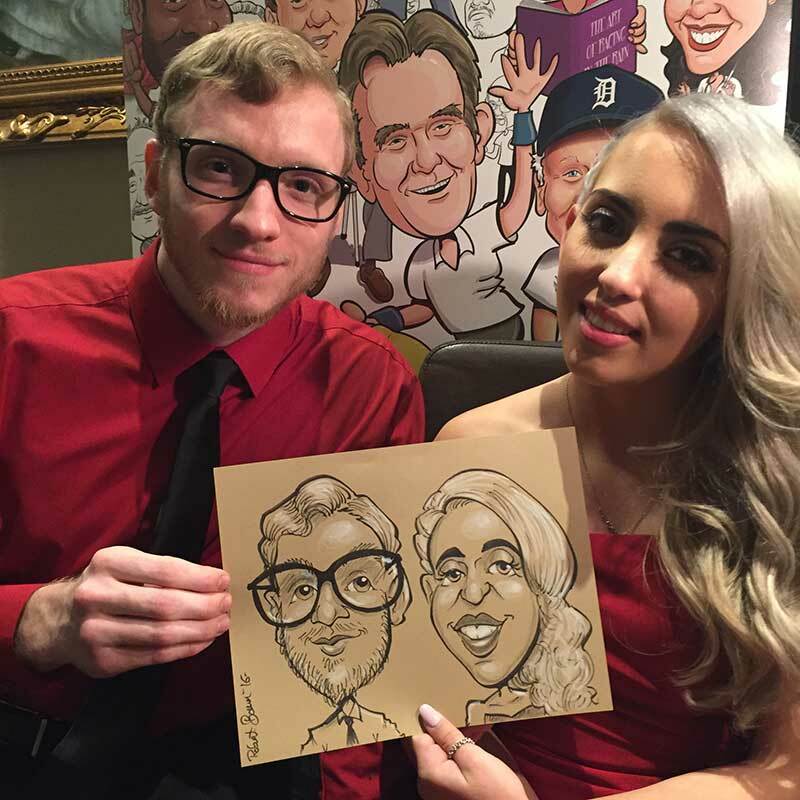 We also include free bags for each caricature to keep them safe. 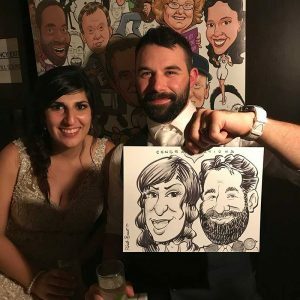 We can even personalize the paper to have the bride groom’s name and wedding date preprinted on each sheet for a small fee. How much do GoofyFaces wedding artists cost? 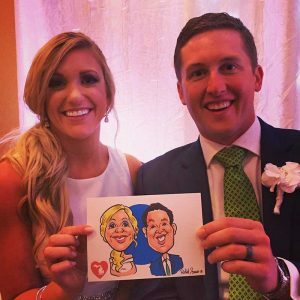 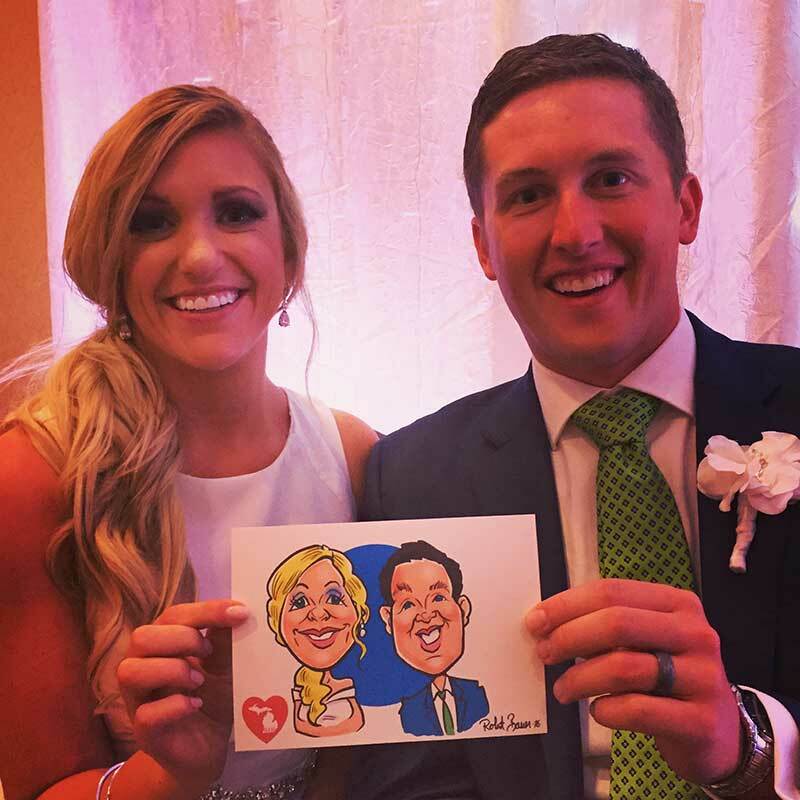 This calculator is designed to help you gauge how many caricature artists to hire for your wedding and a cost estimate. 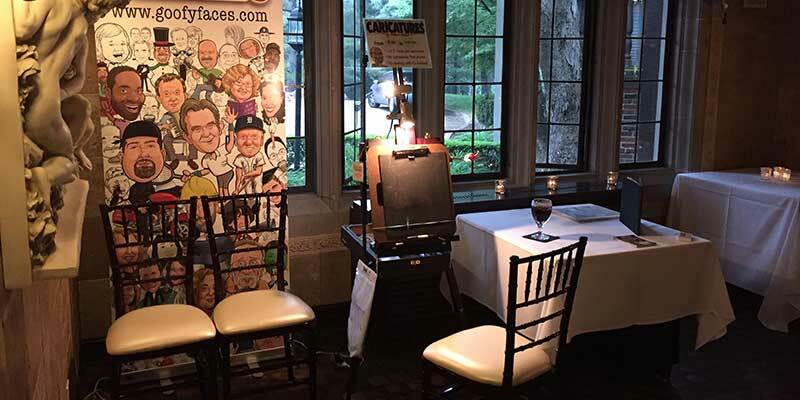 Your final cost depends on the fees the artist(s) you select charge.